UFC 2012 went out with a bang as Cain Velasquez reclaimed his Heavyweight Championship title. 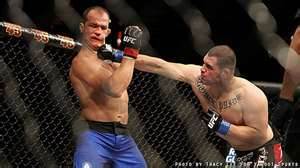 In a rematch against Junior Dos Santos at UFC 155 in Las Vegas on December 29, Velasquez dominated the fight, winning every round, ending in a unanimous decision. Over a year ago, in November of 2011, a face off between the two went quite differently. Bad Boy Dos Santos wasted no time plowing into Velasquez, snatching the title with a KO in just 1 minute and 4 seconds. A record $3.2 million in ticket sales was brought in by 12,423 fans at the last UFC event of the year. The fans were not disappointed. In a bloody fight to the finish, Jim Miller defeated Joe Lauzon in the Lightweight Division. Miller started the fight out with swings that left Lauzon's face a bloody mess throughout the entire bout. Although Lauzon made heroic attempts to win and hung in until the last minute, he lost 29-28 in what will no doubt be hailed one of the best fights of the year. Results of other not so entertaining matches were: Derek Brunson defeated Chris Leben, Yushin Okami outwrestled Alan Belcher and Constantinos Philippou took Tim Boetsch. Where does it go from here? What does 2013 hold for the UFC? Will Anderson Silva vs. Jon Jones become a reality? In a recent interview, Silva was quoted as saying, "The question [about facing Jones] would have to be made to Dana White," Silva said. "Let's ask if he'll give me 50% of the UFC. If he will, maybe this fight will happen." What about female fighting? Ronda Rousey will become the first female to headline a UFC fight card when she takes on Liz Carmouche at for the Bantamweight Championship at UFC 157 set for February 23. No doubt the outcome of this fight will determine much for the future of female fighting in the UFC. In the Heavyweight Division Brendan Schaub will face off with Lavar Johnson. Also, just announced, at 157 will be a featherweight bout between Matt Grice (2-4) and Dennis Bermudez who is 2-1. UFC 156 may prove to hold some interesting fights as well with Aldo vs. Edgar, Evans vs. Nogueira, Overeem vs. Silva, Fitch vs. Maia and Tibau vs. Dunham. Whatever does trend in the UFC for the new year, you can be sure we will take you there, following all your favorite fights and fighters. WHAT'S IN STORE FOR YOU IN 2013? If you want to fight like the pros, you've got to train like the pros! It's just a fact that what you put in to your game is what you will get out of it so start the New Year out right with a great workout plan with excellent equipment to back you up. Former TKO Featherweight Champ, Mark Hominick can be seen in the photo above training with the Heavy Bag like so many UFC greats do. The Heavy Bag is a legendary method of training that has been used throughout the history of Martial Arts dating back to the ancient days of the Okinawan Makiwara and the Chinese Mook Jong. 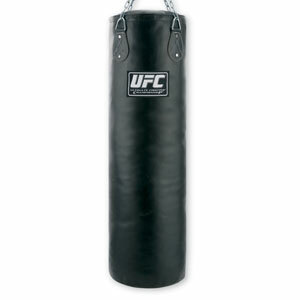 Punching Bags usually hang from the ceiling or affix to a stand and produce amazing results. That is why they remain one of the most tried and true pieces of training equipment in the Martial Arts. 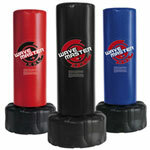 We have a great selection of Heavy Bags and offer the best prices you will find on them. Our reviews will help guide you to the perfect bag for your workout. Although the traditional Heavy Bag makes for a fantastic workout, it is not always practical. If you live in an apartment or even a home renter, chances are your landlord will not approve of holes in the ceiling and you may not have room to mount one on a stand. For those exact reasons, Century invented the Wavemaster line. Wavemasters are Freestanding Heavy Bags that are anchored by a base that is filled with sand or water and can be easily filled or emptied making them easy to store or even to transport. The Wavemaster Original, Cardio Wavemaster, Wavemaster XXL and Wavemaster with Scoring Zones are variations the line has to offer. Read more about Wavemasters and find out how one can improve your game. Another great way to work out is with BOB, the Body Opponent Bag. BOB is the best sparring partner you could ever ask for. He will take a lickin' and keep on tickin'. With his anatomically correct design and likelike feel, BOB helps you perfect your strikes, kicks and punches just like training with a real partner. When they made BOB, they threw away the mold or rather...they broke it. You may have heard that the best seller of the BOB line, BOB XL, is currently out of circulation. So many were being sold, the mold could not hold up. He is expected back by the end of the month and we will keep you posted. You can preorder or request to be notified. Sparring BOB and BOBBY Bully are currently available, however. Read all about the BOB family and which is best for you. As you make your New Year's resolutions and work towards your goals for 2013, we are honored to be a part of your plan. We bring you rock bottom prices and excellent rates on shipping and as always, if you have an questions, simply shoot us an email and we will be more than happy to help you. Remember what Mark Twain so eloquently said, "If you do what you have always done, you will get what you have always got." Go ahead, make this YOUR YEAR! How would you like to meet up with this guy in a dark alleyway? That's just what happened when one unfortunate shoplifter ran into MMA Fighter Jesse Finney! On December 21, Finney (seen with the red gloves on in the photo above), a Pro Boxer and coach for Chuck Norris' World Combat League, was on his way to the local grocery store when he encountered a man running from a female employee, vodka bottles in hand. Finney, who holds an impressive 23-0 kickboxing record, an 8-2 boxing record, a 4-0 amateur MMA record, and a 6-1 professional MMA record, wasted no time in taking the man to the ground. Hats off to Finney, who reportedly made Santa's Nice List and is our very own MMA Hometown Hero of the month. What's trending in MMA and the UFC right now seems to be the "what ifs", the cliff hangers keeping us on the edge of our seats. Now Georges St. Pierre won the fight with Carlos Condit at UFC 154, what if he and Silva Anderson really do square off? Will that calm down the roaring rage for Jon "Bones" Jones to take on Anderson Silva? Will Anderson end up fighting St. Pierre instead? Anderson has been quoted as recently saying he would rather fight St. Pierre. Does the St. Pierre vs. Condit outcome play a part in that possible set up? And "what if" Jones moves back up in weight? Will that change everything? Is the formation of a Women's UFC Division on the horizon for the near future? UFC President, Dana White, says it, "Absolutely is." What would that entail and what Women Fighters will fight, if so? When Ronda Rousey is out from under her Strikeforce contract, will she join the ranks? It seems the UFC is keeping us in suspense on many things that are possibly in the making and with the holidays quickly approaching, it is looking like the New Year is promising to be quite an exciting one so stay tuned and we'll be sure to keep you up to date! 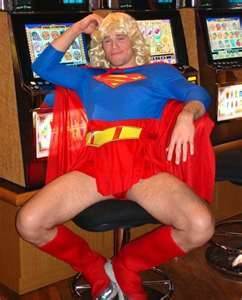 Former UFC Light Heavyweight Champion Forrest Griffin as Supergirl? 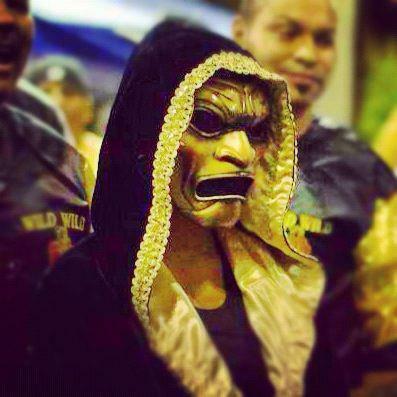 Scarey! But not as scarey as paying too much for your MMA equipment needs. With Halloween behind us now, the only traces the ghosts and gobblins seem to have left behind are the frightfully great deals you will find on this site and in our online store. In need of a sparring partner who will let you kick, punch and strike him with all your might as many times as you want...and without hitting you back? Meet your new best friend, BOB, the best sparring partner you will ever have. And what's spooky is that we have the best price around with awesome shipping rates as well. So say "good-bye" to the trick-or-treaters and stick with the one who will never trick you but will always treat you right! On October 6 in Moreno Valley, California, current World Boxing Organization (WBO) Bantamweight Champion, Kaliesha “Wild Wild” West took on Christine Ruiz for the vacant International Female Boxing Association (IFBA) Super Bantamweight Title. Presented by Sugar Shane Mosley Promotions, in association with Diamond’s Love Foundation and The Susan G. Komen Foundation, "Increasing awareness to the fight of cancer with a KO punch," was the theme of the 10-round event. Sugar Shane, a retired Professional Boxer held world titles in 3 divisions put together the line up that included West vs. Ruiz as the main card in an attempt to fight cancer during the month of October which is dedicated to Breast Cancer Awareness. May 19 was Armed Forces Day! 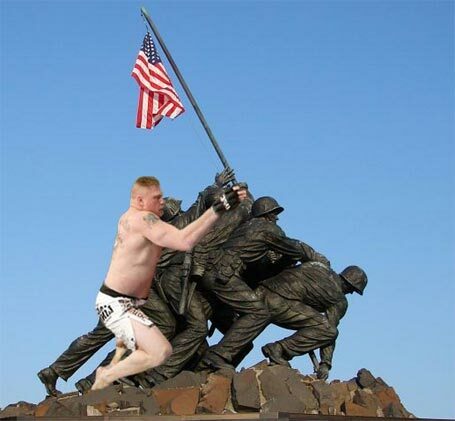 In honor of this special day, Ultimate-MMA-Equipment.com made sure at least one lucky troop got all geared up and well equipped. 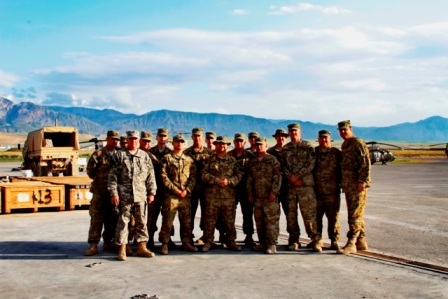 When choosing a troop to donate to, the men of DET4 of the 1108th TASMG MS National Guard's Task Force 12 in Afghanistan quickly came to mind. We first heard of the troop when we got wind they were throwing a NCAA Party not long ago. The event included a raffle so we donated some MMA equipment items. It was the gratitude shown by the troop that amazed us. You need only to look at the photos to see the appreciation in their faces. 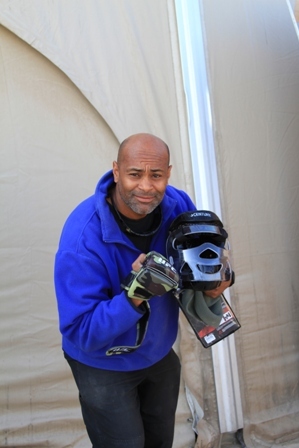 As it turns out, they are unable to practice any martial arts without full protective MMA Equipment so our donation of MMA equipment was truly welcomed. "I am a military combatives instructor but cannot train beyond level 1 because the safety issue without the proper gear," stated Platoon Sargent Harold Compton. "They will not allow us to order gear because we are a small piece of a bigger unit that is in Kuwait," he added. As we got to know a little more about the troop, we learned that Sargent Compton is there on his 3rd deployment, his brother-in-law is there on his second deployment and joining the crew for his first deployment is Sargent Compton's son who is a Blackhawk mechanic. And if that isn't enough family in the force, the troop is supporting the active duty Calvary unit that Sargent Compton's 25 year old nephew is in. The Sargent laughed, "So my wife is the most stressed out spouse in history." So, in honor of Armed Forces Day, Ultimate MMA Equipment let the troop pick out $500 in MMA gear, mma equipment and apparel. It is our way of thanking the men and women of the Armed Forces for the great job they are doing "over there". 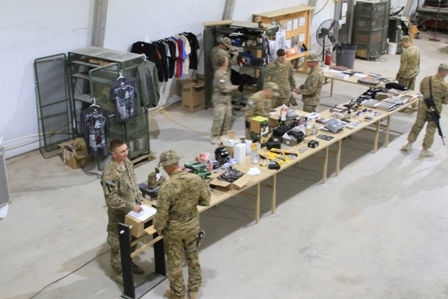 "I would like to express my deepest thanks for your generosity in support of our event and the equipment that you so willingly sent after the party," Sargent Compton said. "Thanks for everything." He concluded, "You make what we do much easier knowing that we not only are not forgotten but remembered and appreciated." SO WHAT MMA EQUIPMENT DID THIS TROOP CHOOSE? BELOW ARE A FEW THIER TOP PICKS! This site helps you sort through the hype and find what is quality MMA equipment and cool. Whether your goal is to become the next great UFC fighter, or be the best in your class, this site is for you. We have lots of reviews - TapouT, Sprawl, UFC, BOB, Affliction and more! MMA Equipment: What Do You Need? I've dealt with the major companies in Martial Arts. I want to pass on what MMA equipment you really need, and what is the best quality MMA equipment. 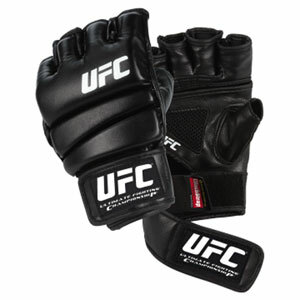 For instance UFC combat gloves are good for practice and younger guys, but if you want the best go for the UFC Official gloves. And while it's nice to have things like a bjj grappling dummy, we'll just give you the bscis here. As for training you can find some free training information, find out who I recommend for training, and pick up some great advice here. CJ, the MMA staff writer, also gives you some inside information on fighters. We dig a little deeper so you can get to know the fighters. I get asked that question all the time. I ask myself the same question. Though I can't say they are sane reasons... the following is a list of why I joined martial arts and enjoy mma training equipment! The Ultimate MMA Equipment Blog keeps you up-to-date with all additions of new gear and newly reduced gear. Subscribe here. Find out where to go for MMA equipment, international shipping. Would you like to share your knowledge about mma equipment? Great, find out how you can submit your story or tip here.